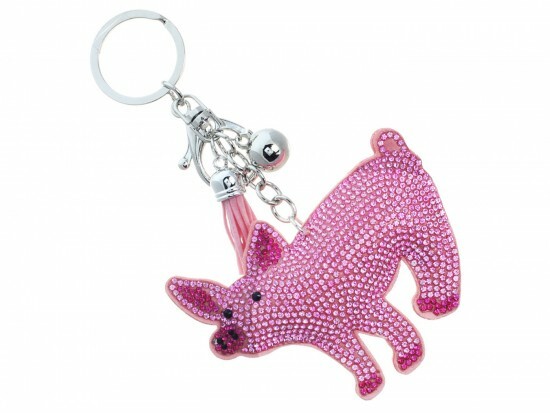 Pink Crystal Pig Tassel Puff Keychain. Puff keychain in the shape of a hog or pig. 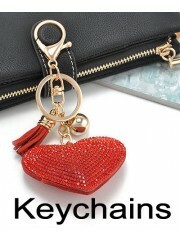 Tassel, with large gold keychain and large lobster claw. Farm animals.